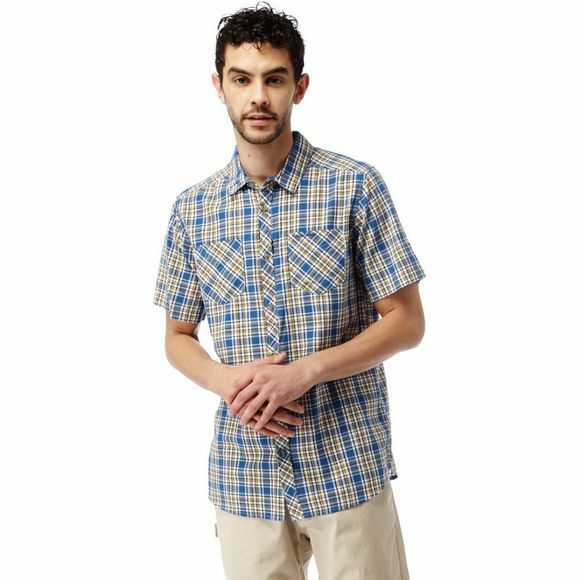 The Men's Northbrook Short Sleeved Check Shirt from Craghoppers is perfect for warm weather wear. 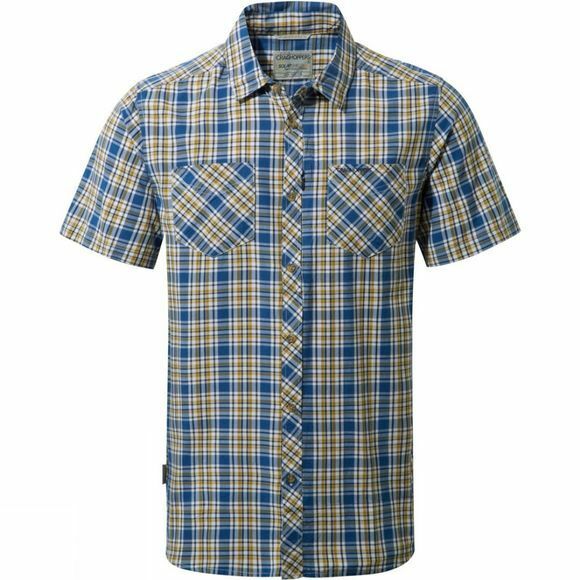 It is lightweight and offers UPF 20+ thanks to the SolarShield Zinc Oxide technology. There are two patch pockets on the chest while drying loops on the inside mean it can be easily hung up to dry after a rinse through, ready to wear the following day, important when you need your luggage to be as light as can be.